After two eyeglasses, my eyesight has neither improved nor worsened but when it was too painful and itchy to bear (migraines sometimes included), I thought it was time to change lens. The first shop where I got a decent pair is quite far. The second one (which was nearby and even located within a small mall) was nothing but headache. I wish I could complain about it like I always do years back but I'd rather channel my energy elsewhere. 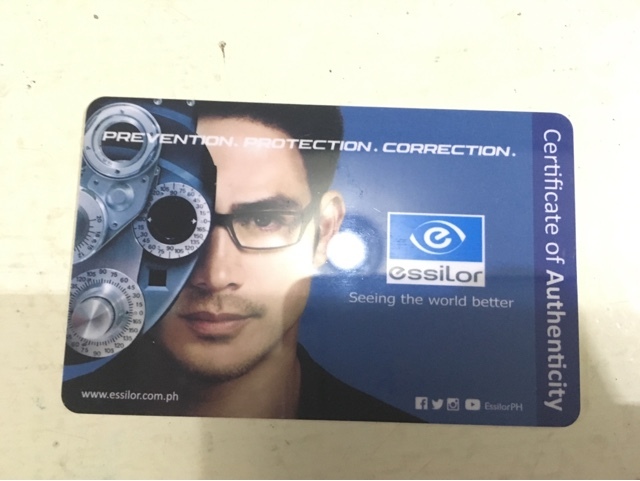 Moving forward, I first approached a popular eye wear brand in yet another mall. The frame is still fine so I just needed a lens. When I mentioned that, they instantly declined. So I tried another known brand. It was like a Hallelujah moment! They entertained me even if they won't make that much money from the lens alone, minus the frame. Anyway, I ended buying a new, good quality frame. But see what difference it makes to be a little more customer-oriented? Set aside profitability for a moment and you'll win a new client. Thanks to the people at that Ideal Vision branch. Inside the shop, the eye checkup was free (like most other similar places). I've read about anti-blue light technology for eye-wear before but I didn't know it was available here. Supposedly, these are specially designed lenses which block blue light from computers and gadgets like tablets and smartphones. So while my vision has neither improved nor worsened, constant exposure to laptops is causing the strain. The ophthalmologist at that time then prescribed blue light glasses. The lenses are custom made so I had to wait for a few days before it's attached to the frame. Prices start at 2,500 pesos depending on additional features you request for, i.e. double coating and so on. I have no idea how other similar brands fare, but Crizal is definitely durable, dust, scratch and smudge-free, and above all, has anti-glare properties. Based on what I've read as well, what it boasts of are anti-reflective lenses. 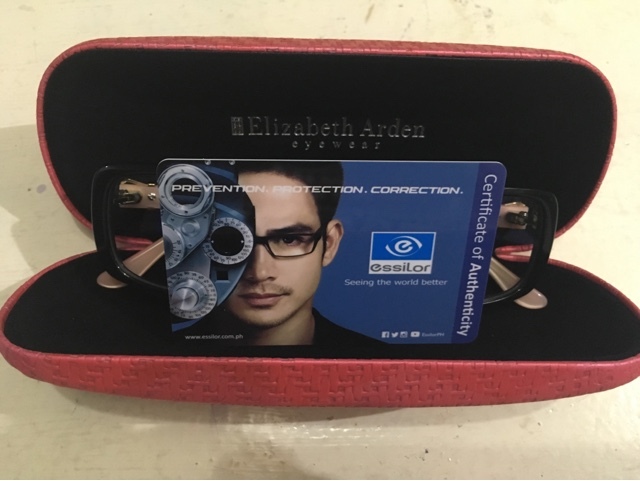 These are tested to be clean, clear and reduces glare not only from computer and related technologies but also from car lights, daylight, UV rays and more. While I normally don't wear it outside, I can vouch for the anti-glare feature when wearing it during work hours. Like all other glasses, there was an adjustment period of a few days for this blue lens glasses brand. After that, it was a breeze. I don't really wear eyeglasses all the time but I'm pretty sure that the extended hours I stare at a computer screen is enough to cover any required hours to wear it. There is no strain anymore, thanks to this lens. However, you can still suffer from tired eyes of course when lacking sleep so it's recommended to have enough shut eye hours. Don't forget to blink too. While that's supposed to be automatic, we tend to blink less when working in-front of the computer for so long. It also helps to gaze away from the computer for a few seconds in every 30 minutes or so. You can get up from your desk as well and move around a bit. As for the frame, I ended up with something within my budget and preference. 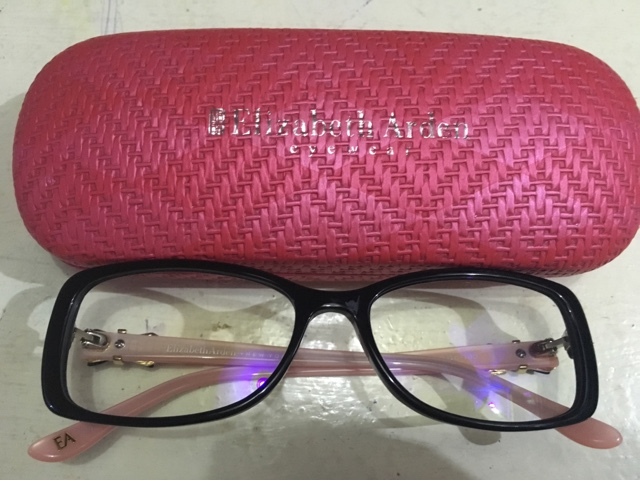 I really like how this Elizabeth Arden frame looks and feels like. It's cute but tough and fits well. Along with the lens, the entire ensemble costs around 6,000 pesos. 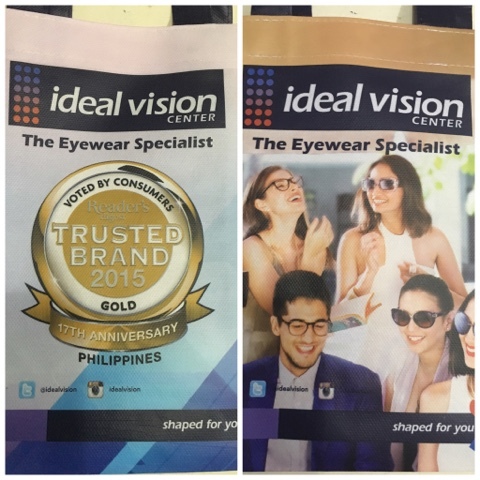 At Ideal Vision, you can pay in full or installments.